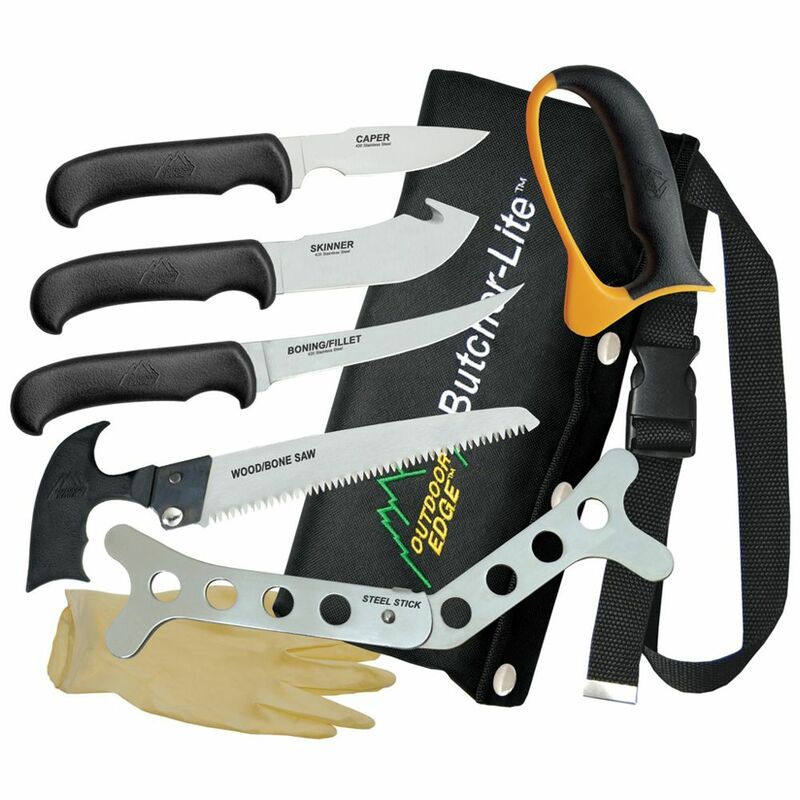 Always be prepared to process your hunting game with this Outdoor Edge Butcher Lite 8 Piece Butcher Set on your side. This nylon roll pack set includes caping, skinner and fillet knives made out of 420J2 stainless steel and a bone saw made from 65Mn carbon steel. Its grips are made from comfortable and non-slip TPR. Handle Length: 4.8", 5", 4.9", 3.3"